Does your organization need to transform its workplace culture? In this webinar you will learn the ABC’s of cultural transformation, a blueprint for cultural change, and find out HOW to engage the intellect and emotions, the head and the heart, to build a high performing workplace. “Everything [in our strategy] our competitors could copy tomorrow. But they can’t copy the culture—and they know it.” Herb Kelleher, cofounder and executive chairman of Southwest Airlines (1971 – 2007) who led Southwest to the top of the domestic U.S. airline industry. Research shows that the highest performing organizations in the world invest in their organizational culture. Companies that are consciously creating a strong corporate culture in a consistent and systematic manner over a period 15 years outperformed companies by 1649%. These companies gave 26% of their time and attention to culture, more than any other category. According to a 2013 study by Economics Intelligence Unit, 72% of strategy leaders recognize culture as a priority and one their top 4 strategic initiatives. Do you have the right culture, systems and processes to support your strategic goals? Results from a recent study in Singapore with 200 companies revealed 9 out of 10 strategic initiatives failed because leaders didn’t focus on changing people’s behaviours and how they worked together. According to Gallup Research, in Europe the current level of employee engagement is between 13 – 18%. With a one million Euro HR budget, that's 700,000 spent on disengagement, a lot of investment with no payback. You might have reports with graphs that show you are doing okay. You made a profit. You made your numbers. How many reports showed the gap between how you did and how you could have done? That gap is opportunity. Organizational culture is all about HOW people work together. · Understand how cultural transformation tools that map, measure and manage corporate culture as a competitive advantage and capital resource. The cost of entropy and lost productivity due to frustration, fear and dysfunction, on the bottom line. Transformational facilitative leadership and how to transform personal excellence into organizational excellence. The 9 steps to building a high performing workplace, a methodology that includes the preparation and implementation phases of the whole system change process to lead the alignment of personal values, organizational values, systems and processes, and vision and mission. 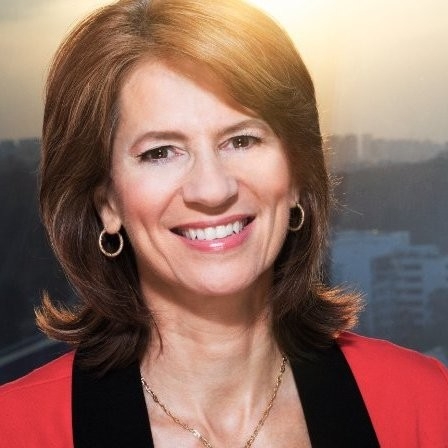 The webinar will be led by Joanna Barclay, author of Conscious Culture, Global Keynote Speaker, and Corporate Leadership Consultant with over 30 years of organizational development experience in America, Europe and Asia, She will share a wealth of practitioner knowledge, case studies and best practices. You may also be interested in How to Build a Desired Workplace Culture with Humanity, Meaning and Purpose - Cultural Transformation Tools Practitioner Training. Please see the link below for more information.